Right now there are some cities around the world where everything is in place and the daily commute is simply joyous! So where are these places? Cycling around cities can be quite a pleasure if you pick the right one. But often they can be a nightmare and riders can risk their lives on almost a daily basis. Thankfully, day by day we are hearing of more steps being taken to address this, with more bike lanes and better education on the roads. Check out the list below and of course feel free to add your own in the comments section. You wouldn’t think that a sprawling metropolis like Japan’s capital would have a lot to offer for the cyclist but you’d be wrong. The city is host to the third biggest cycling population in the world and has cleverly integrated the bike into everyday life. Dublin have spent considerable time and money into making cycling safer and better all round on its busy streets. 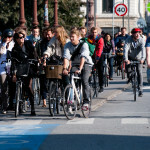 This shows in the fact that is now the EU’s safest cycling capitol so well worth a visit. The city also boasts several large scale cycling infrastructures and a great bike share scheme. So why is this place so good? 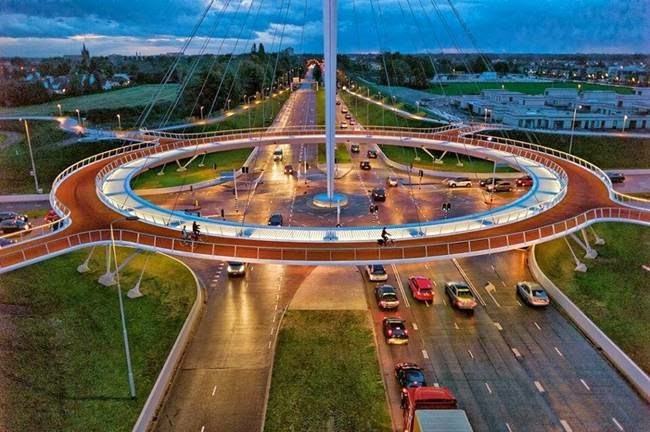 Lots of reasons really but in a nutshell a city that produces the Hovenring cycling “floating roundabout” must a great place to ride. This project is just one example of how the local council are putting cyclists first and producing ground breaking designs to prove it. 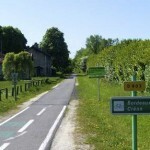 Easily accessed by the UK – and often visited by us Brits – you wouldn’t necessarily think it was bike friendly. The city doesn’t always shout about it but it boasts over 200km of bike friendly paths within its centre and that goes up to 400 if you take in the surrounding areas. So if you’re thinking of just stopping by after getting off the ferry, maybe hang around a little while longer, park up and get your trusty ride off the rack. This city has been climbing up the cycling ladder for quite some time now. Amsterdam is still consistently the best place to cycle but this place is hot on its heels. Besides the miles and miles of lovely well thought out cycle paths there is also further solutions in its public transport system. 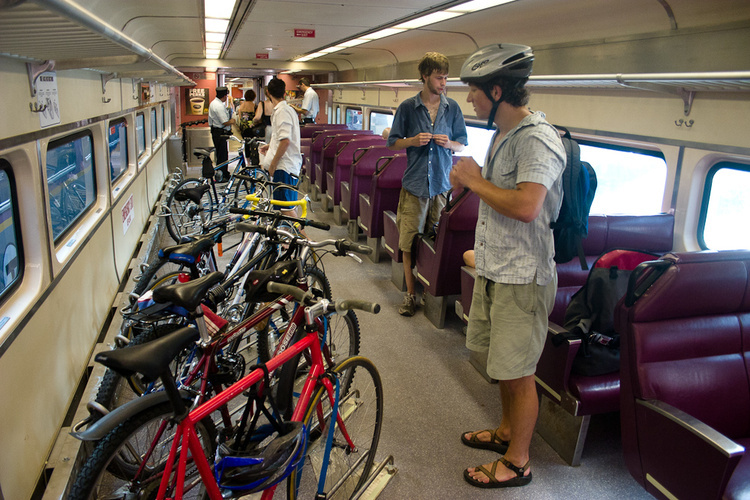 For example Denmark has trains with entire carriages devoted to bikes and the trams even have bike carriers on the front. Couple this with an attitude that not only accepts but embraces the bicycle, we wouldn’t blame you for relocating! Tagged bordeaux, commute, commuting, copenhagen, dublin, eindhoven, Hovenring, tokyo, travel. Bookmark the permalink.